This collection of business simulation games like Game Dev Tycoon lists other games where you’ll have the opportunity to create your own empire. 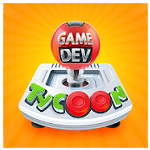 Game Dev Tycoon is a unique offering in the business simulation and management genre with an experience that lets you lead your very own gaming company out of the golden age of arcade games and into the future of gaming (while hopefully making some cash along the way). With a tonne of elements to manage in each game players can lead their tiny company to become to next gaming powerhouse or send it crumbling into ruins like many game developers of the past. Starting off slow in the 80s players will work out of their garage to craft their first simple game. With some luck players will find some early success allowing them to move into their very own office environment and eventually recruiting a team to work on larger and more complex games. Maybe you’ll make a AAA shooter or a cult class simulation game or perhaps a bug filled open world game that will bring down your company for good. Whichever path players find themselves travelling on the wealth of control ensures that the fate of your beloved gaming company is in your hands. The games like Game Dev Tycoon collected below offer a similar experience by putting you at the head of your very own empire. In these games you’ll get to design your own theme parks, railroads and other empires on a variety of platforms.